I finally addressed my need to run on dirt by joining the Robert & Linda Mathis Memorial Group Run in Auburn, California, on Saturday. It was my first time on dirt in almost two months, and also my first time running in Auburn. Is that not crazy? The “Endurance Capital of the World” is just over an hour’s drive away, and I was a complete virgin before this weekend! The run is a casual gathering in memory of Robert and Linda Mathis, runners and race directors who were tragically killed by a DUI driver on December 30, 2011. It is a 15-mile out-and-back trail run from the Auburn Overlook to Cool. 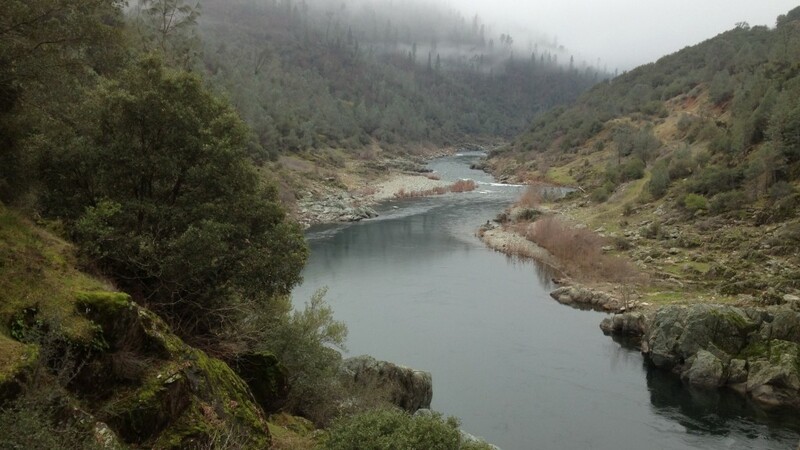 The course takes runners along the American River to No Hands Bridge, onto the Western States Trail, then to the firehouse in Cool. The trail was nicely marked with ribbons and supported with aid stations at the bridge and at the turn-around in Cool. Click here to see my GPS tracks for the run. The event included a potluck lunch and a raffle with some really great running prizes. Donations were also accepted in support of the memorial foundation. Click here for The Robert and Linda Mathis Foundation facebook page. I could not have asked for a better first-time Auburn experience. The trails were a bit muddy in spots, but surely better than trail conditions than on the Reno side of the Sierras. When we reached the aid station at No Hands Bridge, I took a moment to enjoy the scenery and was treated to views of a pair of river otters resting far below on the shore. As always, the best part of the day was the camaraderie and friendly nature of the group. I enjoyed a nice drive down with Truckee running vets Gretchen and JP. Then, on the trail, I tagged along with Reno Running and Fitness partner Roland. 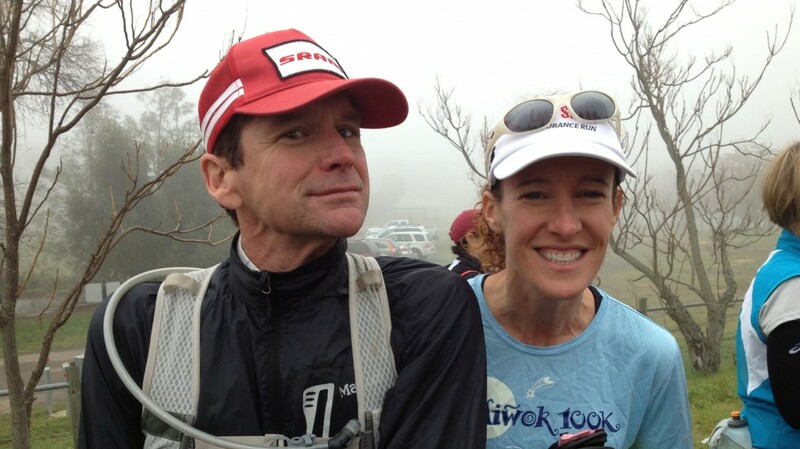 It turns out that Roland is also running the inaugural Gold Rush 100k in May. Along the way, we stopped to say hi to three other runners also “going for the Gold” this Spring. It was a fine day all around and I hope to make the “reverse commute” out of the snow a slightly more frequent occurrence. Truckee friends JP and Gretchen, smiley and goofy as always! Ha! Yeah, because she’s the one with the goofy look on her face? Totally a fun day – thanks for getting me out there!